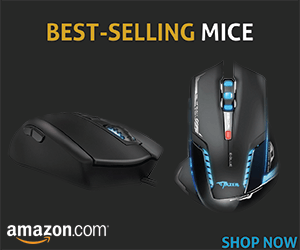 What do gamers look for in a gaming mice? Great looks? An awesome sensor? A comfortable and ergonomic design to make it feel like the best thing you have ever held for hours at a time? If you ask me, a mouse that beats my significant other for the “most comfortable thing to hold for hours at a time,” is a mouse out of this world. Whether you are in search of a mouse for its looks or performance I think it is safe to say that we all prefer a mouse that won’t empty our bank accounts. That’s where the Razer Orochi wins out. I fell in love with this mouse from the moment I took it out of the box. For me, simplicity is the only way to go in terms of design. The sleek black and round symmetrical design is absolutely stunning. It’s young, sleek, and stylish design is enhanced by the optional Chroma gaming mouse pad that you can purchase with the mouse. It’s all just really, really great, guys…but before I get ahead of myself, let’s get started with the basics. 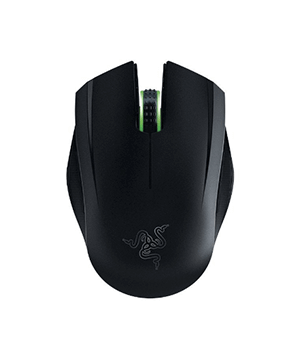 The software installation for the Razer Orochi is extremely easy and convenient. There are no discs involved. Instead, the instructions direct you to download the Razer Synapse from the Razer website. After the installation finished, the mouse was ready to go. The software allows you to customize the buttons and create multiple user accounts as well as game profiles. If you purchase the Chroma pad it will also give you the option to configure the Chroma RGB lighting of the Mamba. On another note, your laptop will need to have Bluetooth capabilities to use the mouse and the gaming pad together. The grip is one of the most important buying criteria I consider in my reviews. That’s because I prefer to game in comfort and be able to utilize my preferred grip style, the palm. Regarding the palm grip, the Razer Orochi is perfect in every way. It really delivers the best ergonomics with its round and symmetrical shell. I didn’t want to leave all of my claw grip friends empty handed, so I clawed the Orochi for a couple of hours as well. My conclusion? If you like to use the claw grip, the Orochi is the perfect mouse in the mid-ranged gaming mice market. In terms of the grip, I also really liked how the Razer Orochi is equipped with the ambidextrous form factor and texturized rubber side grips. In other words, this mouse is designed to be used by left- and right-handed players. Another plus is the button layout, which is simple and classic, making it easy to use. I had no problems using the scroll wheel, in fact, it was truly fun to use because of its tilt design. The 8,200 DPI laser sensor is also another great thing about the Razer Orochi. I was blown away by the mouse’s performance in CS and WoW. 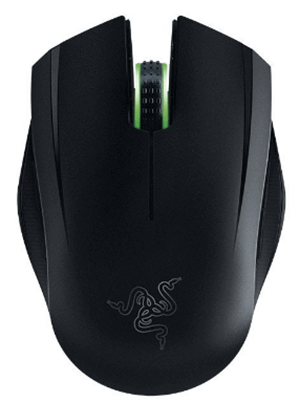 For good reason too because the Razer Orochi moves at 210 inches per second which translates to 50 G acceleration. It also has an incredible 1,000 Hz Ultrapolling time for a 1ms response rate. The technical specs truly made a difference in my experience. I was fast, much faster than I had ever been before. A lot of gamers out there also prefer an optical sensor over a laser sensor. So did I. That is, until I realized how intelligently the Orochi pairs up with the Chroma mat. The official name for the mat is the Razer Firefly. The Chroma part refers to the Chroma custom lighting. I highly recommend this mat if you are serious about gaming and want to potentiate every performance feature of the Orochi. I say this because I mean it. The Firefly mat is going to improve the Orochi’s laser sensor by a lot. It has a hard, micro-textured finish to provide the perfect balance between accuracy and speed. In that way, the laser sensor beats out any optical sensor. It gets better too. I mean, seriously. The Razer Synapse software really adds value to the mouse and mat combination with its online cloud support. The software allows you to customize everything from sensitivity to lift-off tracking to surface calibration. The non-slip rubber base also makes the gaming mouse mat a must-have in my opinion. The Chroma RGB lighting is really the icing on the cake. 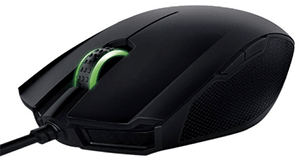 The mat has RGB-lit strips on each side of the mouse along with the Razer logo. The gaming mouse mat has 16.8 million colors and dozens of customizable lighting effects. While I’m not one to boast lighting effects on gaming mice, I can’t deny my deep appreciation for the beautiful array of colors on the gaming mat. In fact, the Chroma RGB lighting is the first gaming mouse mat with unlimited customization. You can choose between spectrum cycling, breathing, reactive, static and wave settings. I found the wave setting to be especially interesting, because it animates the colors in a continuous wave of rainbow lights. At the end of the day, the Razer Orochi and Firefly gaming mouse mat make for one of the best combinations this year. If you’re looking to make some serious improvements in your gaming lifestyle, then you will not want to miss out on this opportunity.